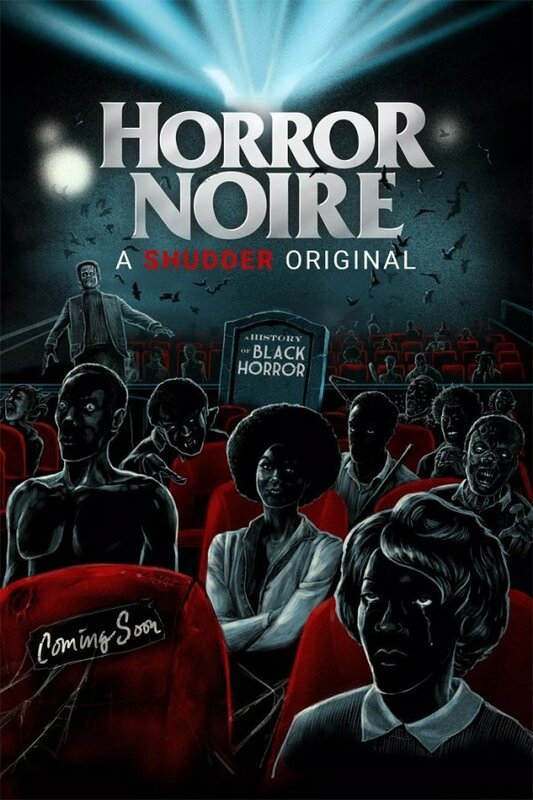 BY DAN TABOR FILM CRITIC As a lifelong horror fan, I was humbled by Horror Noire, the dense and informative documentary on the Black Horror film genre, based on the book with the same title by Robin R. Means Coleman. This homegrown project, written and produced in Philadelphia by Stage 3 Productions is masterclass in horror that every genre fan needs to take. While I like to consider myself a fan of black horror in particular, having seen most of the films featured in the doc, it became quickly apparent that I had missed a few things due to my perspective as a white male. Watching Horror Noire in a packed Philly screening it was hard to believe it has taken this long for this story to be told. But Jordan Peele’s Oscar win has shown that these films are not just award worthy, but can resonate with any audience. The doc starts out examining D.W. Griffith’s infamous 1915 creepshow pageant of white supremacy, Birth of a Nation, which definitely checks most of the boxes of the horror genre despite not being widely considered such. It then winds its way through the decades discussing various films and their impact, Blacula, Sugar Hill, Ganja and Hess wrapping up with the impending release of Jordan Peele’s US. The first thing that you notice is the film’s break with the standard talking head interview style you’ve come to expect from streaming docs. Instead, black filmmakers, actors, film scholars and writers are often paired off in a theater setting while they deliver an oral history of the genre drawing on their respective personal experiences. This gives an organic nature to this discussion that makes the audience feel like you’re eavesdropping on an conversation rather than the standard documentary data dump. It’s that candid nature and the chemistry between subjects that immediately pulls you in as such horror heavyweights as Ernest Dickerson, Keith David, Tony Todd, Ken Foree, William Crain and Jordan Peelw, give you a deep dive into how black horror has evolved over the years. Horror Noire is an impressive accomplishment, that does more than just discuss representation in horror. The film’s academic approach to its subject matter, born of a true love of the genre, will have you looking at these films, their casts, tropes and buried subtext with a fresh perspective. The film thankfully skips all the small talk and setup going right to the meat of the discussion, and doesn’t hold anything back. My only real complaint, if you could call it that is I was left wanting more, since there was a film or two I think didn’t make the final cut or I wanted to hear what a particular person thought about a film. I honestly can’t recommend this film enough! Horror Noire is streaming for free on SHUDDER starting today as a part of Black History Month which is also Women In Horror Month. You can get the rest of February FREE on Shudder with this code: wihmx. This entry was posted on Friday, February 8th, 2019	at 1:21 am	and is filed under News	. Responses are currently closed, but you can trackback from your own site.